The nursing care field constitutes a pillar of the Group’s new businesses. The Sompo Care Group mainly comprises Sompo Care Inc. which is capable of providing a wide range of care from facilities to at-home care. The Sompo Care Group provide the high quality nursing care services to meet the diverse needs of the elderly and their families. * Sompo Care Inc. and Sompo Care Next Inc. merged on July 1, 2018. Sompo Holdings, Inc. is joining forces with university organizations to resolve various issues faced by an aging society. We will merge our capabilities with universities’ research expertise to contribute to industrial and social development. Contributing to a Society of Coexistence through Human Resource Development Based on "Art × Diversity"
Sompo Holdings and the National Center for Geriatrics and Gerontology concluded a comprehensive agreement alliance for the purpose of promoting mental and physical independence among the elderly and contributing to the realization of a healthy longevity society by conducting various research and other activities related to promoting health for elderly people on issues such as dementia.Through this comprehensive alliance agreement, both organizations will examine and conduct research and development that will contribute to extending the driving years of the elderly and preventing accidents involving them, and improving the quality of nursing care services for elderly dementia suffers. By providing the results to the wider public, they aim to achieve a sustainable society. To enable wider understanding of dementia, we held the following events in conjunction with World Alzheimer’s Day on September 21, 2017. We will continue promoting efforts aimed at building a society in which we can better coexist with dementia. Sompo Care Group launched the SOMPO Care University in July 2017. The institution will spearhead the company's human resources development strategy, which is based on the basic management policy of Respect for People and encompasses the theme of enabling all employees to sense their own personal growth. The SOMPO Care University goes beyond the scope of conventional training programs by collaborating with universities and vocational colleges. Sompo Care Group plans to develop the university as a comprehensive R&D center for nursing care. 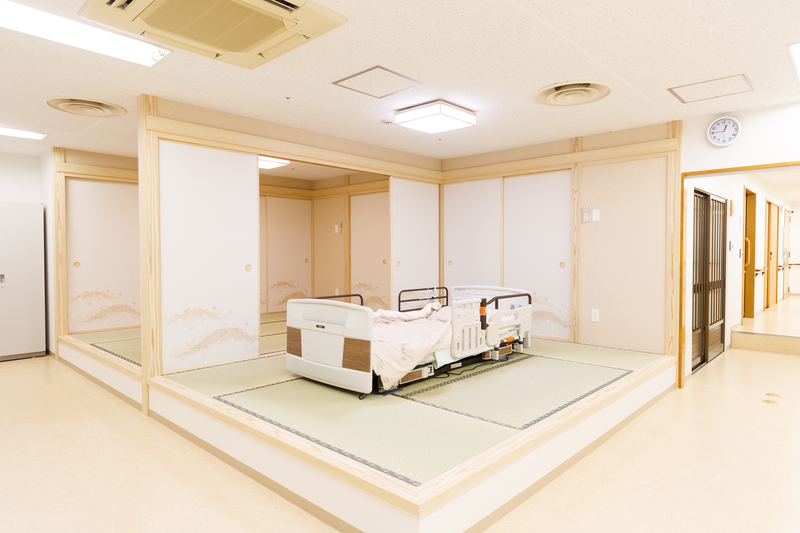 It will serve as a place of learning for people outside the Group in various occupations that support the nursing care business, as well as a research function for examining issues and countermeasures on the front lines. 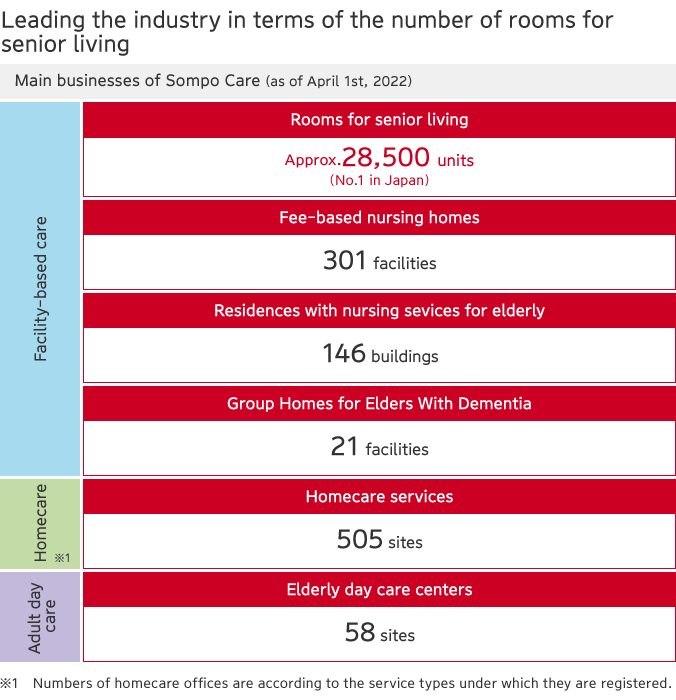 From April 2017, we set out to unify the headquarter functions of the two Sompo Care Group companies—Sompo Care Message Inc. and Sompo Care Next Inc.—aiming to bring both companies’ accumulated experience and know-how together and improve operational efficiency. 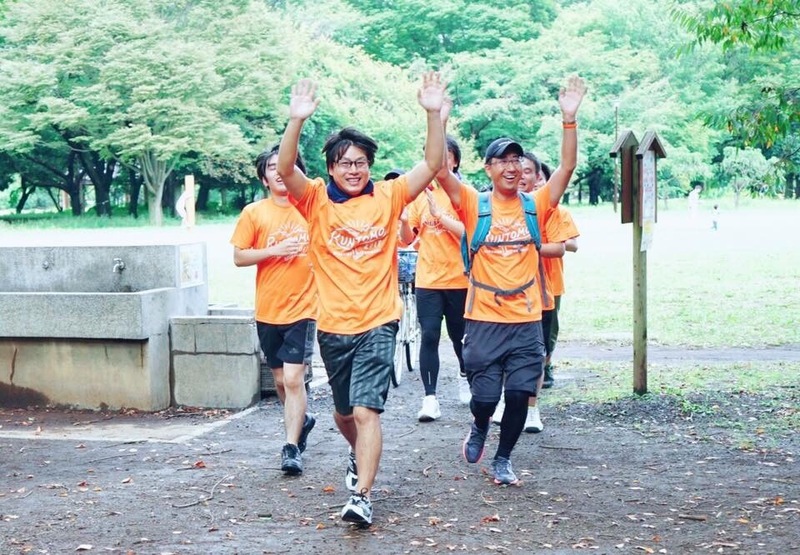 July 1 marks the real start of unified operations under the new structure with the transfer of Sompo Care Message’s Okayama headquarter functions to Shinagawa Ward, Tokyo. The Sompo Care Group serves customers in the communities with a full line of nursing care services of the highest quality possible, ranging from at-home services to facility-based services. Sompo Care Inc. is dedicated to supporting your daily life always – wherever you want to live.